Artisan Village Browse and purchase fine art at this juried fine arts and craft show. 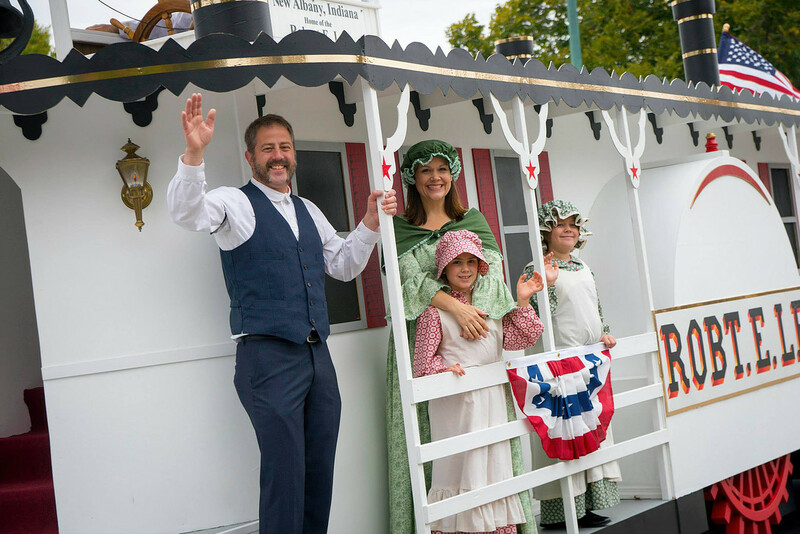 Saturday, Sept. 3, 11 a.m.- 6 p.m. and Sunday, Sept. 4, 11 a.m.- 5 p.m. “The Stunning Bicentennial Puppet Extravaganza” Puppet and Crankie Storytelling Show Giant puppets will take the audience through Southern Indiana’s cultural history. Saturday, Sept. 3, two performances: Noon and 3 p.m. Sand Sculpting Watch internationally-known sand sculptor Joe Autry and his team create figures from mounds of sand. Then, have a try at sculpting on nearby tables. Saturday, Sept. 3, 11 a.m.- 5 p.m. Sunday, Sept. 4, 11 a.m.- 3 p.m. Amazing Art Quilt Raffle Art quilt with local themes depicting Jeffersonville landmarks. Proceeds to benefit the Jeffersonville Arts Alliance for future public art-making sessions. 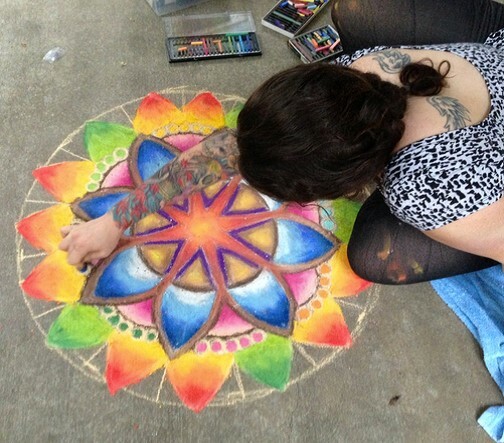 $10 per ticket Friday, Sept. 2, 6-9 p.m. (during Uncorked Wine Event) Chalk Walk Participate as an artist and enter to win cash prizes, or just enjoy the walk! Friday, Sept. 2, Artist check-in 5 p.m.-8 p.m. Saturday, Sept. 3, 10 a.m.- 6 p.m. Sunday, Sept. 4, 10 a.m. to 5 p.m. Balloon Glimmer Friday, Sept. 2, 7-9 p.m., Colston Park RiverStage Concerts Friday, Sept. 2, 7 p.m., Louisville Crashers Saturday, Sept. 3, 7 p.m., Exile w/guest Newbees Sunday, Sept. 4, 7 p.m., Dance-a-thon & Kidz Rock the Boat Parade Saturday, Sept. 3, Spring Street, downtown Jeffersonville (time TBA) Pony Rides Saturday, Sept. 3, 11 a.m.- 6 p.m. Sunday, Sept. 4, 11 a.m.- 5 p.m. Victorian Games at Howard Steamboat Museum Saturday, Sept. 3, 11 a.m.-6 p.m. Sunday, Sept. 4, 11 a.m.-5 p.m. 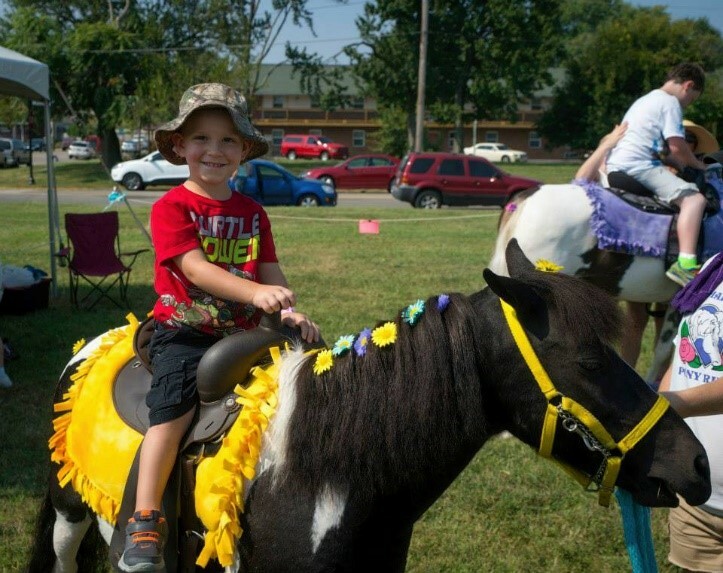 Greatest Little Steamboat Race Sunday, Sept. 4, 2 p.m., near RiverStage Captains Wheel Hay Maze Saturday, Sept. 3, 11 a.m.-6 p.m. Sunday, Sept. 4, 11 a.m.- 5 p.m.